Ander Herrera has been widely tipped to join Paris Saint-Germain this summer – and French broadcaster RMC Sport have been looking into his performances for Manchester United. 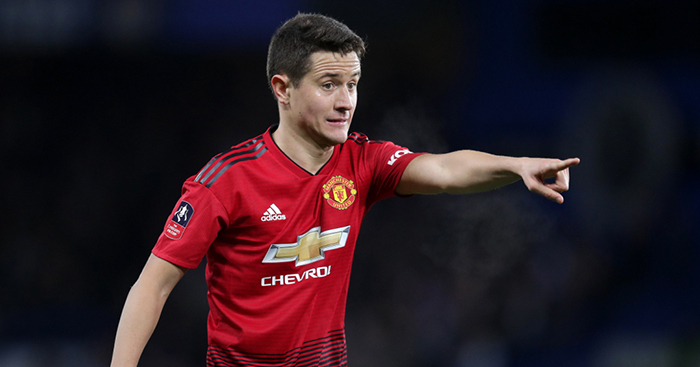 Herrera is out of contract at Old Trafford at the end of the season and, though he would like to stay, the Spain midfielder has said he and the club “are not thinking alike” over a new contract. Arsenal have been tenuously linked, but the BBC reported earlier this week that Herrera has already told PSG he will join them barring a late turnaround in his talks with United. And, anticipating his arrival in Paris, RMC Sport produced this detailed analysis of Herrera in action for United. Unless you speak French, you will want to skip the first 45 seconds. Can you name every team to knock an English club out of the CL since 2000?